Race, Honesty and Nicholas Wade. 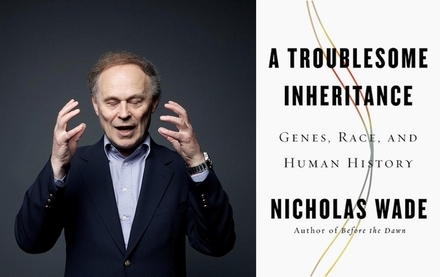 Nicholas Wade’s book ‘A Troublesome Inheritance’ was always predicted to elicit hysteria. Some even knew the script of outrage word for word. In the pages of VDare and Amren, veteran columnists like John Derbyshire and Jared Taylor awaited the crackling torches and swooshing pitchforks with a bored indifference. As it happened, the hysteria arrived like a cuckoo from a Swiss clock. From the moment the book was published, Wade has been thrown violently onto the back foot. Political insinuations have been shaded into the background of the author’s profile. Phrases like ‘scientific racism, ‘pseudo-science’ and ‘shady funding’ have been bandied about without as much as a footnote to support them. And most importantly (and shamefully) of all, the science contained in the book has been torn apart, misquoted and miscategorised without any of it being convincingly refuted. Although predictable, this is unbefitting of established academia. From what I have read of the book, the author’s tone seems altogether gentlemanly, his reputation rather mainstream, and his arguments often very watered down. Wade won’t be winning any Nobel prizes for this insight, and rightfully so, since this was already the understanding of the vast majority of evolutionists. He may however, given his background at the one of the world’s most respected newspapers, popularise the theory. And what would that do? What would happen if tomorrow, everyone in the world went out and bought a copy of Wade’s book, read it and agreed with it? What, in a word, would happen if the science of race was re-accepted by the popular mind? But are they right? I’m not sure. And since – as we are routinely and correctly informed – the ideas of racism are not legitimate anyway, we can surely dispense with the abuse directed at communicators of politically neutral scientific fact. Those who cannot be reached by this elementary logic can wait for the Rwandan Einstein or the Icelandic Usain Bolt for the next thousand years if it pleases them. It doesn’t matter. 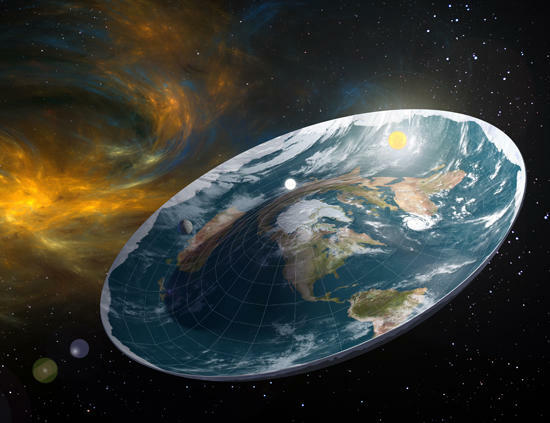 The thing about truth is that it stays true whether people believe in it or not. Why are Whites Defecting to Asia? Although agreeing on very little in general, liberal white youths and (typically older) white conservatives do share one thing in kind; a jealous fascination with Japan and the tiger-states of East Asia – South Korea, Singapore and Taiwan. These fascinations usually originate from a single sentiment – namely the idea that East Asians represent what whites should be, but aren’t. On the one hand, right-wing or conservative people praise Japan and the Tigers’ dedication to hard work and personal discipline, drawing attention to the lack of crime, disorder and graffiti in Asian cities, as well as to the lack of feminism, multiculturalism and sexualisation in Asian societies as a whole. Liberal youths meanwhile (especially those belonging to the middle class) view Asian countries as cutely ornate, riddled with adorable customs and infused by a well-negotiated social peace. Despite their shared basis, the two views later divide away from each other and the differences are highly important. While Conservative admiration for Asia is political and rational, privileged white youths have developed what can only described as a fetish for Asian culture, with the celebration of K-POP, Manga, Anime and even Sushi being rooted not in enjoyment, but a restless desperation for cultural defection. Rich white youths are turning away from traditional white identity because of a perceived ‘super-whiteness’ in Asia. To put it simply – All of the things that we commonly associate with white identity in the West, such as intelligence, orderliness, geekiness, prudishness etc… are all done better by Asians. Asians are also more qualitatively homogenous than whites and this too may be attractive. As lower categories of whites become (via dysgenic processes) more violent, illiterate and embarrassing for rich white youths, the latter will naturally grow more dissatisfied with their ethno-cultural designation. A rich white youth does not want to be associated with the trash one sees on the Jeremy Kyle Show or the Black wannabes of the inner cities. He/she would much rather be a cute Korean or Japanese. The desire is often strong enough to provoke strange behaviours. In the past few weeks, it was reported that a White Brazilian man had made the ultimate defection to Asia, having over 100 plastic surgery operations to make him look biologically Korean. A few months before this, it was reported that a White English girl had an operation on her tongue to make it possible to sound more authentically Korean. Asianising plastic surgery operations are growing increasingly common in America and continental Europe too. Even without surgery, rich Whites are actively adopting the mannerisms and dressing style of Asians. Consider the following immensely creepy video featuring the Italian girlfriend of YouTube megastar PewDiePie. Testifying to its prevalence, there is now an internet slang-word for a White imitator of Japanese-style culture – Weeaboo. Famous people afflicted this way include Avril Lavigne, Gwen Stefani, Dakota Rose, as well as countless ordinary privileged Whites not yet aware of the nature of their behaviour. As well as class embarrassment and racial envy, a key contributing factor to the Weeaboo (which I will use to subsume the White imitators of any Asian culture) is White aging and the fear of growing old. 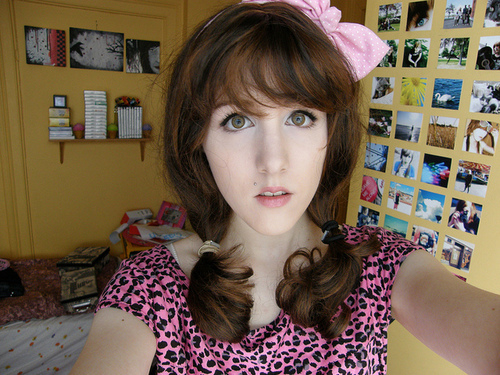 The idyll of Japanese Manga and Korean Pop is that of eternal childhood. It elevates and crystallises the pre-sexual and the playful, the naïve and the apolitical. Judged from the aggressive jungle of the modern multicultural West, there must be something quite soothing and pure about a bug-eyed animated schoolgirl, or a smooth-skinned, androgynous boy-hero. This doesn’t rescue the trait from its consequences. Demographic collapse has already been visited on Japan and Korea, with many young people struggling to maintain the divide between the virtual and the real. Is this bad for Whites? That depends. It is certainly bad for Nationalism. You can’t maintain a functioning first-world country without the native middle and upper classes. If they are all done with their ‘Whiteness’ then that would prove quite a stumbling block. For non-Nationalist Europeans, the Weeaboo at present is little more than an irritation. It won’t neccesarily remain as such. What the phenomenon glorifies – androgyny, indoorsiness, immaturity- is at this point in history, the very opposite of helpful. 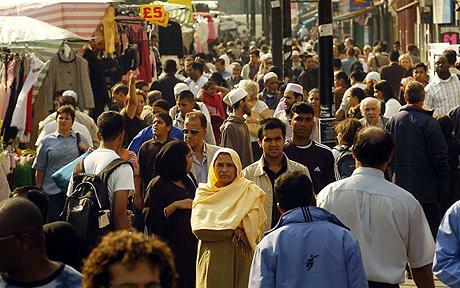 A Day Out in Tower Hamlets. Last week, I made what must be my first journalistic excursion for the sole purpose of this blog. 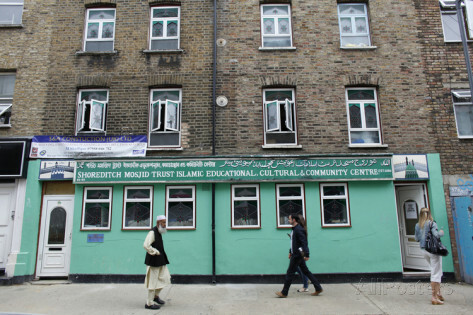 It was a Sunday, I had nothing to do and so I ventured out of curiosity into Tower Hamlets; the borough of London now notorious for its advanced and nearly complete Islamisation. Alighting at Whitechapel Underground station, I soon found a street-side café at which to people-watch and took up a table seat outside. I must have remained there for at least an hour, drawing deep breaths of mint-flavoured nicotine from my electronic cigarette and staring thoughtfully at the shifting knots of people bumping around the crowded streets. It’s true what they say about this place of course. I wasn’t expecting anything different. Tower Hamlets today looks aesthetically identical to a neighbourhood of urban Pakistan, the only giveaways being the gravestone coloured sky and skyscrapers rising behind the landscape. It’s a slum in many respects, and I don’t say that emotively. ‘Slum’ is a word with political as well as poetic functions. It can denote a place where an urban area houses its low-paid but essential workers. Cleaners live here for example, as do the owners of the ramshackle Bangladeshi businesses and trinket stores which blight and degrade the whole of Greater London. The set-up of most of the residences nearby are crowded family cell-blocks with a proud elder generation who work, and an integrated youth who cannot spell ‘work’. That youth is clearly dominant on these streets. Hooded Muslims stroll and loiter on their pencil-thin legs, some of them lairily sipping cans of Red Bull in lieu of alcohol (it doesn’t have quite the same masculinising effect somehow). Innumerable signs offered the services of ‘English Language Teaching’. From what I heard in the form of conversation, they’re not doing a roaring trade. Internet cafes seem to be another local speciality. One also cannot travel very far without seeing a very dingy, third-world electronics shop, its window blacked out with advertisements for mechanics, plumbers and hookers. The famed markets of the area also now have a Sub-Continent character. Whatever quality they used to possess has now been traded for quantity. They sell the very basics – meat, vegetables and cheaply manufactured clothes. Abroad from here, Chicken grills, kebab shops and highly dubious ‘Italian’ pizzerias are the main options for food. There is also a co-op supermarket (never a good sign for house-prices in London). On the Underground coming in, I noticed a police display appealing for information about a ‘serious assault’ – local euphemism for a stabbing. This is nothing to remark upon really. Gang culture pervades the local atmosphere. Bicycles, once a symbol of quaint conformity, now serve as tools of intimidation – as quick getaways from the repercussions of spontaneous violence. Youths on a gang of wheels later approached me and asked for cigarettes. I showed them my e-cig. They seemed to briefly consider swiping it before rolling away passively on their bmxs. I popped into a corner shop and found to my surprise a fully uniformed shop guard. This is highly unusual but also sadly understandable. In London, shifty drunks tend to loiter by the doorways of such places like unwanted guard dogs. I took my change and was wished a good afternoon by the prayer capped shopkeeper, to which I dutifully smiled and said thank you. I felt a bit like a psychopath, grinning warmly at a man I’d gladly see dragged towards an airport. Despite looking – and to my surprise – I couldn’t seem to find a Mosque. After turning a few more corners, I did come across a ‘community centre’ (pictured below – photo not taken by me). Judged by its architecture, the building used to be something very different. Perhaps a pub. How depressing. When darkness lowered, I caught the train for home. As the train met each station further and further from Whitechapel, the passenger profile shifted less and less Islamic. At Putney, I disembarked, distinctly happy to be back in my own little corner of London, where the twenty first century seems more convincingly to have arrived, and may for some time still persist. In the educated quarters of the United States, a new book about race is causing quite a stir. 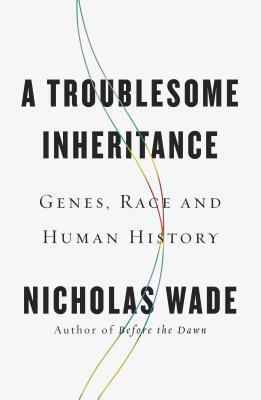 It’s called ‘A Troublesome Inheritance: Genes, Race and Human History’ and was penned by NYT science correspondent Nicholas Wade. In the book Wade argues that race – contrary to liberal consensus – is not a ‘construct’ but a biological fact, and that because of this, average levels of intelligence (as well as various aspects of personality) vary between ethnic groups. The ‘controversy’ here is of course unwarranted. The findings of modern science almost always suggest ethnic disparities in cognitive ability exist and are severe enough to have political and economic consequences. But if you’re still unconvinced, Wade may be of some help to you. I also came up with a nice thought experiment today which may help our side of the argument albeit in a less scientific manner. Imagine if sixteen years ago, a South Korean family adopted a Nigerian boy at birth, and then, two weeks later, adopted a Korean boy, also at birth. The two 16 yr old brothers have grown up eating the same food, and have enjoyed the same amount of exercise. Both also attended the same schools, and were raised by the same stable and complete family. For a reason we don’t have to go into, the two brothers are entered into a head-to-head IQ contest, and you are obliged by law to bet money on the outcome. The money you bet with isn’t your own though. In fact, it is the total UN aid budget for Africa for the next ten years. If you lose or decline to take part, the money will be redirected into the bank account of Rush Limbaugh. Who would go for and why? This direct confrontation between conscience and ideology makes for an interesting dilemma. The answers will be revealing. Dyzgenicz: Wat Is Britain Loosing? 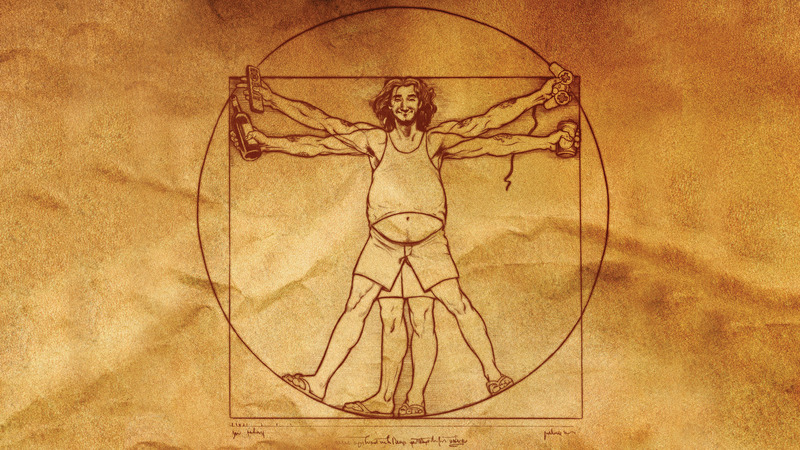 Have you ever seen the film ‘Idiocracy’? I haven’t, but I’m well-acquainted with its subject. From what I’ve read about it, the plot of the film takes place in a (we hope) distant dystopian future, after the effects of the downward selection currently in progress has matured and taken over American society. To put the idea simply, because (in the film, as in reality) less intelligent people have reproduced more than the intelligent, society has become an ‘Idiocracy’, dominated by feral dullards, up to and including the President. The scientific name for this process is ‘Dysgenics’, which (as any amateur etymologist will see) is the counterprocess to ‘Eugenics’. Dysgenics is the trend by which the intelligent fail to reproduce in sufficient numbers, or else are saturated by the greater fertility of the stupid. But why am I mentioning this here? Well, a few months ago, Boris Johnson, the mop-headed Mayor of my city, attracted a great deal of controversy by suggesting that some people are too stupid to get ahead in life. In a speech to the Margaret Thatcher Centre, Johnson speculated that ‘natural differences’ in cognitive ability mean that economic equality is a dangerous pipe dream not to be pursued by politicians. As you would expect, the Guardian and other liberal papers quickly poured aggressive scorn on this idea, with Johnson even being compared to Gordon Gekko, the ruthless elitist from the movie ‘Wall Street’. Johnson is of course correct to say that differences in ability exist and that these differences will usually oppose any attempt to impose ‘equality’. Where he is wrong is to think that politicians can ever get away with pointing this out. Dysgenics is an open secret among the educated. Prospect magazine ran a terrifying story last year which claimed that (in contravention of the Flynn Effect) the average British IQ was going down. As strange as this would seem to science, it would surprise very few people who converse with contemporary youth. Public literacy (a good test of intelligence) has never been in more dire straits, and little is being done to address the problem. In the title of this post, I have used what has fast become the standard social-network spelling of ‘losing’. The word ‘lose’ is now ‘loose’, whereas ‘loose’ is now ‘lose’ (or sometimes even ‘looce’). A similar mutation has afflicted the word ‘ridiculous’, which is almost always now spelt ‘rediculous’. This is isn’t a small concern. When language degrades, cultures usually aren’t far behind. Boris Johnson deserves credit for his bravery in speaking up on this, but his candor will likely go wasted on a public too afraid of dangerous ideas, and ignorant of the costs of ignoring them. The BNP Jumps the Shark (again). The British National Party has always had a strained relationship with truth, but the material on its webpage frequently ventures into the frankly surreal. Consequently, visiting the BNP site each week to view the articles is one of my most guilty pleasures. From there I have learned many things – from leader Nick Griffin’s secret, hypocritical desire for the Jewish celebrity Nigella Lawson, to the ‘scholarly disputes’ vis-à-vis the Holocaust, to the nature of the ‘New World Order’ and the shadow government ruling Westminster. This week though, an article was posted which topped any of these lunatic pronouncements. According to guest writer Paul Hickman, Black people – despite considerable evidence to the contrary – aren’t actually faster runners than White people, and the consensus that they are has been deliberately forged for political purposes by……. (drum roll please)…… ‘the Zionists’! The catalyst for this theory, was the dramatic victory by the German runner Verena Sailor over a mainly black crowd of competitors in January of this year. “The victory of Verena Sailer marks the beginning of the end for the Zionist, Marxist, Globalist and Egalitarian lie that Blacks are superior at something. The victory of Verena Sailer is also a victory for all Nationalists and Europeans, for her symbol will help to smash the aforementioned racist, hypocritical, cultural onslaught that is being waged by the aforementioned criminal groups against our fair, intelligent and honourable people…..
That this drawl is on a major political website is astonishing. A more natural environment would be the toilet wall in a maximum security psychiatric hospital. Mr Hickman evidently believes that by using archaic words like ‘aforementioned’, he can make himself sound educated. I don’t know if he’ll ever read this, but Mr Hickman, you come across as no more educated and literary than Dr Dre. Back to the thrust of his argument, I’m not sure how the Marxists, the Zionists, the Globalists and the Egalitarians usually co-ordinate their efforts, but for them to be in such close concert on an issue of this kind seems infeasble. To bolster his case, Hickman alleges that the victory of Ms Sailor has been deliberately covered up in the British media, while the victory of Mixed-Race athlete Jessica Ennis and Somali runner Mo Farrah in 2012 was deliberately promoted. What he fails to repeat is that Ms Sailor is German and therefore considered of interest mainly to Germans, whilst Ms Ennis and Mr Farah are (although of course the BNP would dispute this) officially British and thereby more likely to be covered by the British media. To make of this very ordinary situation, a Zionist plot, requires real mental exertion, a wild, free-roaming imagination and (not unlikely) the use of psychotropic drugs. Let us add this latest spasm from the BNP patient to the list of reasons why they must be decisively crossed off the list by any intelligent nationalist. Dysgenics, Onesies, and Kids getting Dumber. It seems that the craze for adult babygrows – rebranded as ‘onesies’ – has now stalled and will soon enter a period of red-faced decline. Those who fell victim to the ludicrous fad can now begin the work of stitching up the damage to their social credibility, probably by invoking the cards of ‘irony’, humour, or (if these fail) intoxication. Meanwhile, those of us who always were amazed at the herd insanity of such people, can glow with righteous satisfaction. But why am I mentioning it here, on a political blog? Well, it’s known that fashion, like any other element of popular ‘culture’ acts as a kind of shadow government. It controls and governs the masses beneath the consent of electoral politics. More importantly (and worryingly) it also provides a barometer of national intelligence and mood. The craze for Onesies may be lessening, but much still has to be explained as to how such a strange trend could emerge in the first place. Who is to blame? What went wrong? If anyone ever doubts the fallibility of the human mind to acquiesce in the most degrading kinds of behaviour, I point them in the direction of the harrowing documentary. Jonestown: The Life and Death of People’s Temple. The story of Jonestown is well known. So well known that the (pretty insensitive) phrase “Don’t drink the kool-aid” has become common parlance. The phrase is designed to caution those who seem to be blindly following a herd, especially when that herd is itself blindly following a fallible authority. Whether or not it is unkind to use it, given the tragic nature of its source material, is irrelevant. What it gets right is more important than what it gets wrong. The insinuation behind the phrase is that the lesson of Jonestown is not limited to freakish cults, but can be justly applied in other more everyday contexts. And as the macro can be applied to the micro, so can the micro be applied to the macro. The fact that Onesies are so ridiculous, ugly and embarrassing for those forced by their weak minds to don them, coupled with the wildfire success of the fad itself, creates genuine cause for concern. Where can fads go after adult babygrows? Perhaps some devious social scientist could deliberately create a fad for not wearing trousers. If it was endorsed by Justin Bieber, there’s no reason to think we wouldn’t see it become the norm….for a few weeks at least. And then after the hypnosis of peer-pressure fell away, the affected consumers could look into mirrors, horrified at what they, and the human average is reduced to. But it isn’t just fashion. This herd-madness is ruling the era. It elected President Obama. It motivates those vague, nihilistic protests against Capitalism which blight London streets every weekend. 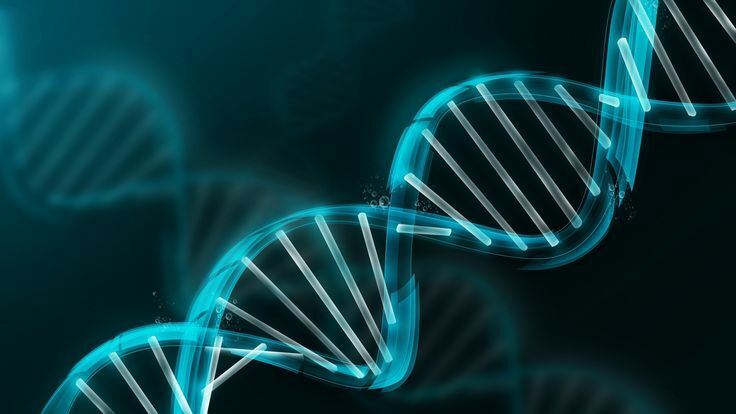 It is part of a pattern of general human degeneration known scientifically as ‘Dysgenics’. People are not just becoming more easy to round up and control. They are also becoming thicker. Anyone over 25 who uses YouTube and is foolish enough to get into a debate with another user will immediately feel their generational distance from contemporary teenagers. ‘Text-speak’ is one thing. The sentences I’ve read on YouTube defy logic. They remind me of the “word salad” ramblings of patients suffering with Amphetamine Psychosis. And before the ‘age’ card is played against me, I’m in my twenties. I know and understand slang perfectly well. This is not and has never been the issue. People who notice that literacy is becoming worse with every new generation typically blame ‘slang’ and mobile phones because they are afraid of other explanations. But this is both rong and riddickoolus yeah? The words people cannot spell are not urban phrases but the basic mechanics of language. This can only lead to a less fluffy and digestible hypothesis. A recent article in Prospect magazine drew attention to the alarming fact that the average British IQ appears to be falling. Does this matter? It might do. Especially as we prepare to go toe-to-toe with 1.4billion Chinese with an average IQ over 100. But that’s a long term issue. In the short term, we must confront the idiocracy forming at the base of British society and prevent it spreading further. That’s the best we can do for now, Innit?